Your advertising efforts will literally come out in the wash! Antibacterial and moisture-wicking properties keep your hard-working associates looking and feeling their freshest. The solid-colored body is complemented by white color blocking at the sides and white tipping at the collar. Rib-knit collar with two-button placket frames the face with a clean-cut look. 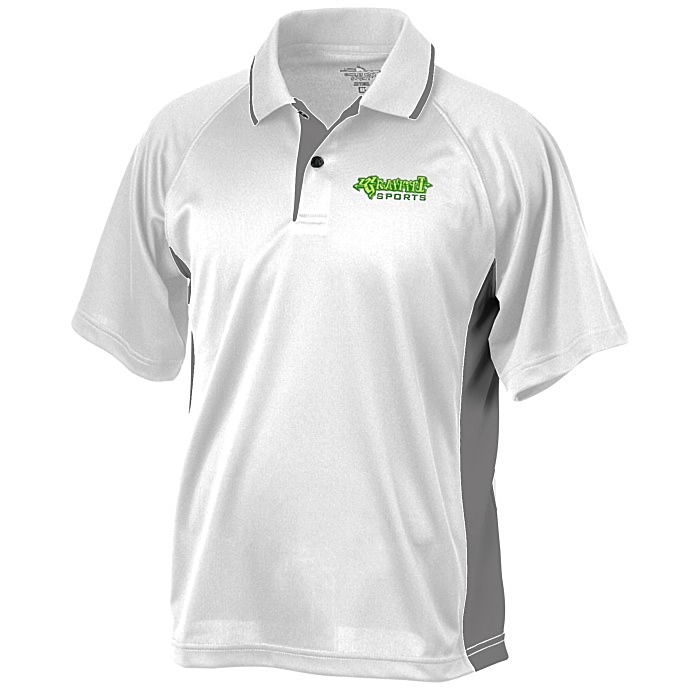 This short-sleeve Charles River® shirt is designed with a taped neckline and raglan sleeves for a clean, finished appearance. Tagless neck label prevents itches and other detrimental distractions. 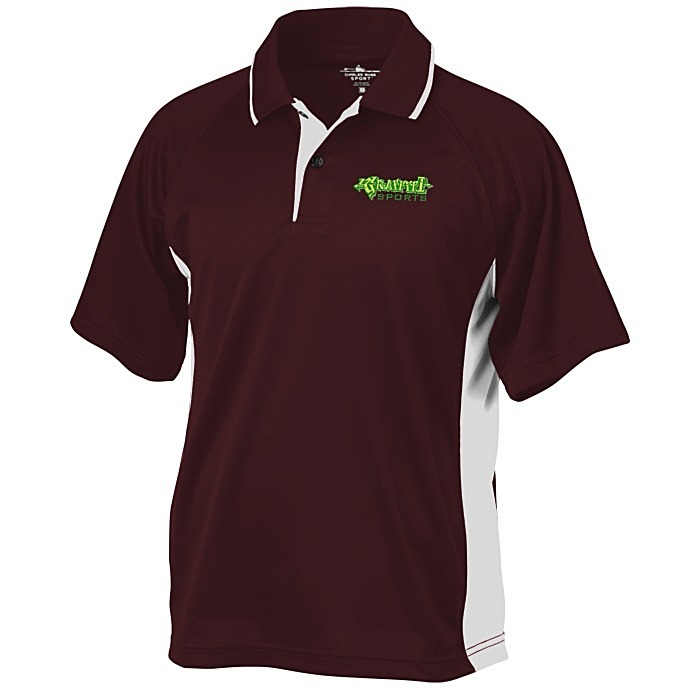 Made with 100% polyester pique material with TopShield™ moisture management technology. For the coordinating ladies’ polo, see item #112084-LTipped Colorblock Wicking Polo - Ladies'.